Find fun senior activity ideas for your Alzheimer's and dementia residents in the calendar below that you can easily add to your nursing facility's activity calendar. Do You Remember Your First Scary Movie? Should Teachers Be Held Responsible? Do We Need Education Reform? What's the Best Way to Melt Ice? Who Are These Hollywood Families? TIP: Find activities that are classified to help you easily find the types of activity ideas that you need for your calendar. Assist residents with crafting red pom-pom brooches to wear on this National Wear Red Day. For the project, use red yarn, pin backs, and a cardboard pom-pom maker. In honor of this birthday of American actor Clark Gable, invite your resident to participate in an acting exercise of reading tongue twisters to help with her pronunciation. 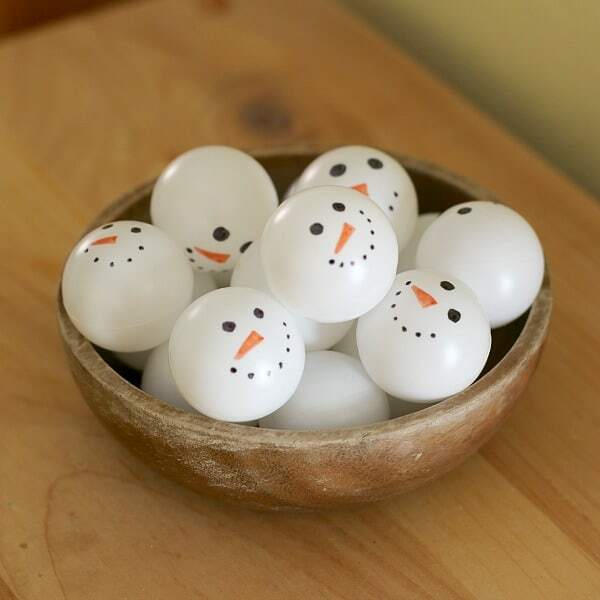 In recognition of this first day of the Saranac Lake Winter Carnival in Saranac Lake, New York, use Sharpies to turn your plain white ping pong balls into fun snowmen by drawing snowman faces on them. Then use them for a fun snowman ping pong tournament with your residents. On this first day of the Winterlude in Canada, assist your resident with cutting out and assembling a cardboard winter wonderland display that can be given to one of his grandchildren as a gift. As you reminisce with residents about their favorite gum on this Bubble Gum Day, set up a fun bubble gum game. To play, place a piece of bubble gum in a plate and cover it with whipped cream. Then have your residents compete to be the first to use their mouth to find the piece of gum, chew it, and blow a bubble without using their hands. Pass out flavored gum to residents on this Bubble Gum Day to see who can correctly identify the flavor. Start with your easier flavors, like grape and cherry. For this Candlemas Day, assist residents with assembling tea light snowmen to hang as decoration throughout your facility. For the project, use battery-operated tea lights, black and orange markers, red ribbon, red pipe cleaners, red pom-poms, black felt, and glue. Challenge your resident to a paper football game on this birthday of Pro Football Hall of Fame coach George Halas. Beforehand, construct a paper football to be used for the game. Use drum sticks, yoga balls, and a few container cans to set up a fun cardio chair drumming activity for your residents in honor of this birthday of American jazz saxophonist Stan Getz. In honor of this birthday of American jazz saxophonist Stan Getz, use a toy xylophone to play a fun game of Blind Man's Bluff with your resident. To play, first blindfold your resident, and then hit one of the bars of the xylophone. Next, have your resident feel the instrument to locate the vibrating bar. In recognition of this birthday of pop-culture icon Farrah Fawcett, see how well your residents do at remembering icons from the 1940s as you pass around photos for residents to identify. Provide residents with watercolors, watercolor paper, kosher salt, yarn, and a hole punch to make watercolor bookmarks as a way to promote reading on this Take Your Child to the Library Day. Get your residents to help you decorate for this evening's Super Bowl LIII game in Atlanta, Georgia by helping you make football pennants featuring the colors of the two teams in the game. For the project, use felt, wooden dowels, hot glue, and the pennant template. Invite your resident to assist you with baking a football cake to serve during your Super Bowl LIII festivities. Recruit volunteers to assemble a football toss game so that your residents can play a fun tailgate game on this Super Bowl Sunday. Provide the volunteers with fleece, felt, beans, needle and thread, and glue to assemble the game. On this day of the Bean-Throwing Festival in Japan, show your resident how to create flower bean art using white beans, black beans, a large frame without the glass, scissors, a flower template, and tacky glue. Pay tribute to this Dump Your "Significant Jerk" Day with your residents as they reminisce about the jerks that they have encountered in the past. Afterwards, share a common break-up comfort food – ice cream sandwiches – for residents to sample. For the treat, provide residents with a variety of cookies and ice cream for them to assemble themselves. Since most of your residents are not familiar with the songs of Super Bowl LIII's halftime show performer, Maroon 5, host your own halftime show by playing fun big band music and getting your residents up and dancing. In recognition of this birthday of seamstress Rosa Parks, pass out colorful felt and buttons, and assist residents with sewing felt hearts for this Valentine's Day season. Use needle and thread and polyfill for the project. In celebration of this Medjool Date Day, honoring the type of fruit, encourage your resident to assist you with making no-bake date snack bars. Use box cutters to create holes in a cardboard box for residents to use as target practice with golf clubs and balls on this birthday of golf professional Byron Nelson. Create a target for your bedridden resident to toss paper airplanes through to accumulate points on this birthday of aviator Charles Lindbergh. In honor of this day that the United Service Organizations (USO) was founded, reminisce with residents about how they stayed connected to their family members who were stationed overseas during World War II. Afterwards, share how people can stay connected today with troops overseas. Pass out plastic knives for residents to chop dates on this Medjool Date Day, honoring the type of fruit. If dates are not an option, use raisins. After chopping the fruit, add it to small cups of yogurt for residents to enjoy. Celebrate this Constitution Day in Mexico with your residents by making mariachi band piñatas. Use toilet paper tubes, tissue paper, tape, cardstock, paint pens, cardboard, white glue, and individually wrapped candy for the craft. In recognition of this National Weatherperson's Day, encourage your resident to assist you with assembling flannel hand warmers that can be delivered to a local homeless shelter. Beforehand, ask staff members to donate any of their old, clean flannel shirts for the project. Invite residents to play a fun indoor game of Mexican kick ball on this Constitution Day in Mexico. To play, set up a target, like a chair, and have seated residents try to kick a foam ball so that it goes underneath the chair and through the chair's legs. On this day of the Chinese New Year, make Chinese paper lanterns to hang throughout your resident's room for the day. Instead of using stencils to decorate plain paper (as mentioned on the site), use colorful scrapbook paper for the paper lanterns. For this National Weatherperson's Day, invite residents to make their own winter paintings using school glue, salt, and paint. Help your residents pay tribute to Jamaica on this birthday of reggae singer Bob Marley by making Rasta bracelets. Use craft foam, colorful thread, pony beads, and glue for the project. Have fun with your resident on this National Girls and Women in Sports Day as you teach her a few fun balancing exercises using a pool noodle, like balancing the pool noodle on your palm or tossing and catching the pool noodle with each other. Recruit staff members and volunteers to join your residents in a limbo contest on this birthday of Jamaican reggae singer Bob Marley. Be sure to lower the limbo bar for volunteers and staff members, and to raise the bar for residents as they dance under it. Invite your resident to watch a documentary about Ronald Reagan on this day that the former president was born. On this birthday of Jamaican singer Bob Marley, reminisce with residents about the international food that they enjoy eating. Afterwards, pass out Caribbean fruit for residents to sample, like bananas, mango, pineapple, oranges, and strawberries. Pass out wooden birdhouses for residents to paint in beautiful Caribbean colors on this birthday of Jamaican singer Bob Marley. 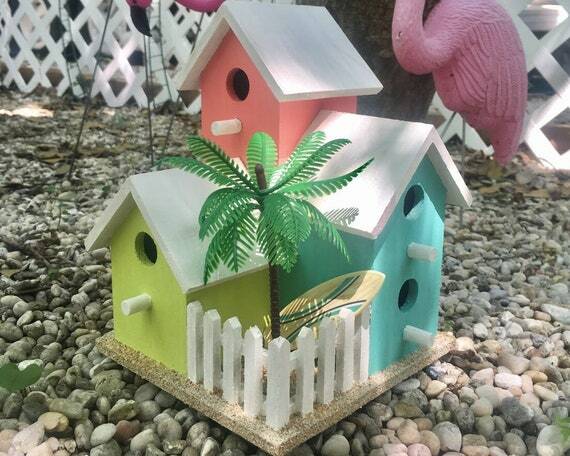 Use the finished birdhouses throughout your facility as decoration. Encourage residents to help you decorate your facility for Valentine's Day by making pretty valentine bottle brush trees that can be used as table centerpieces for your Dining Room tables. Use jars, powdered dye, and water for the fun project. Lead your resident in a few ballet toe stretches on this day that ballet was introduced to the United States. For this chocolate candy season, place several individually wrapped chocolate bars on the floor and have residents toss pennies to try to land the pennies on the chocolate bars. If a resident's penny lands on the chocolate bar, then they get to keep the candy. On this Wave All Your Fingers at Your Neighbors Day, help your resident transform regular cotton gloves into 21st century texting gloves by adding puffy paint. Sell the finished gloves at an upcoming Crafts Fair. In recognition of this first day of the Florida State Fair in Tampa, Florida, reminisce with residents about how much fun they used to have at the state fair. 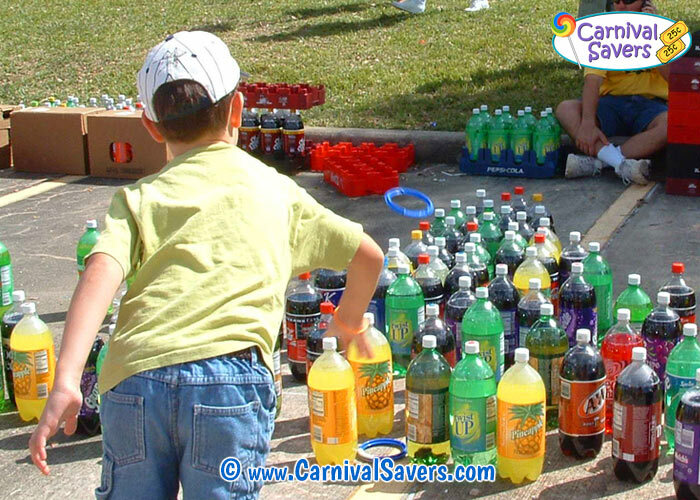 Afterwards, share a list of the most commonly fixed carnival games to see if your residents ever had any luck at winning those games. Enlist the help of your residents to make heart birdfeeders to hang on a backyard tree as a sweet valentine surprise for your neighborhood birds. Recruit residents to assist you with crafting paper roses to use as decoration for the upcoming Rose Tea Party. Assist your resident with making Valentine's Day cards for his grandchildren that he can mail out before the holiday. For the cards, use white cardstock, a white crayon, and colorful watercolors. Help your residents earn their merit badge in fitness on this day that the Boy Scouts of America was founded by teaching residents a few simple exercises using resistance bands. Encourage your resident to help you decorate for this Valentine's Day season using chocolate wrappers. Simply print out the templates onto colored paper, and use them to cover candy bars. Use the finished candy bars as prizes for your Valentine's Day games and events. 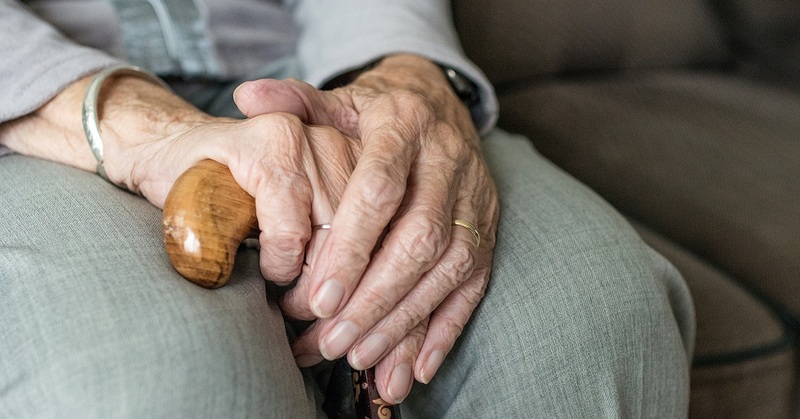 Reminisce with residents about the funny events of their lives on this first day of Love May Make the World Go 'Round, But Laughter Keeps Us From Getting Dizzy Week. Afterwards, share a few funny stories with residents. Celebrate this day that the "City of Roses" Portland, Oregon was incorporated by hosting a rose tea party for your residents. Beforehand, coordinate with Dining Services to serve apple roses puff pastry and strawberry jam cookies. Encourage residents to make heart suncatchers using coffee filters and liquid watercolors. Hang the finished hearts as decoration for Valentine's Day. Assist your resident with making a cupid toss game as a Valentine's Day gift for a grandchild. For the game, use a cardboard box, craft knife, paint, wooden skewers, glue, and felt. For this Read in the Bathtub Day, divide residents into teams of two and have one person blow bubbles so that their partner catches the bubble in a spoon without popping it. Award a point each time the partner catches the bubble in their spoon without popping it. In recognition of this first day of the Arizona Renaissance Festival that is being held in Gold Canyon, Arizona, assist your resident with making torn paper art landscapes. Use colorful construction paper and glue sticks for the project. Frame a few of the finished art as colorful abstract pieces for her wall. Reminisce with residents about their favorite country and western singers on this birthday of singer Ernest Tubb. Afterwards, play country songs to see if residents remember the song titles. On this Read in the Bathtub Day, make several bottles of bubble solution and pipe cleaner bubble wands for teams of residents to play a bubble pop game, in which one partner blows bubbles and their teammate has to pop all the bubbles before they reach the floor. Celebrate this day that The New York Times slogan "All the News That's Fit to Print" first appeared on its front page by assisting residents with making newspaper cones to fill with popcorn for a snack. Use a ping pong ball and plastic tennis racket to help your resident practice bouncing a ball up and down on a tennis racket in honor of this birthday of famous tennis player Bill Tilden. Have your resident bounce the ball 10 times while holding the racket with one hand, and then have her switch hands. Encourage your resident to try to control the bounces, making some bounces small and some bounces big. For this birthday of tennis player Bill Tilden, invite residents to play a fun tennis game of catch. To play, pair residents together and have one person use a tennis racket to catch a foam ball that is thrown by their partner. Show residents how to control their arm so that they can hold the racket and catch the ball without having the ball bounce or roll off the racket. Invite your resident to help you sort a local newspaper on this day that The New York Times slogan "All the News That's Fit to Print" first appeared on its front page. For the activity, simply take a newspaper and get it out of order before having your resident try to put the sections back in order again. On this day that it was the first time that The New York Times slogan "All the News That's Fit to Print" appeared on its front page, host a fun current events activity with residents using your local newspaper. For the activity, read a few of the headlines and then ask residents if they can think of a similar story or situation from the past. Persuade your residents to sample a sweet treat just before Valentine's Day as you assist them with making an easy two-ingredient fudge using white chocolate chips and a can of strawberry frosting. Assist residents with making shaving cream hearts to use as decoration for your upcoming Valentine's Day festivities. 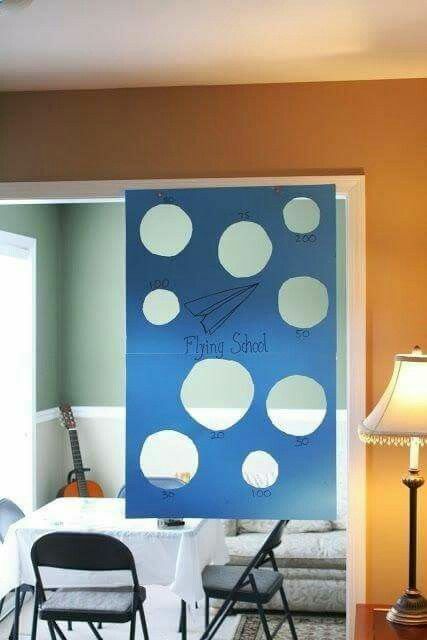 Recruit your resident to assist you with making a dart board game for the upcoming Professional World of Darts activity. Host a fun professional-style dart game for residents in recognition of this Pro Sports Wives Day. For the game, use the dart board that was made earlier in the One-on-One activity, and just as in the professional game, supply the winner with a trophy as a prize. In recognition of this first day of the Westminster Kennel Club Dog Show in New York City, coordinate to have a few staff members bring their well-trained dogs to visit your resident who loves dogs. During the visit, host an impromptu dog show in your resident's room where staff members can show off their dogs' tricks. Reminisce with residents about their instrument-playing days on this Get Out Your Guitar Day. Then share a list of the easiest instruments to learn how to play to see if the residents agree. Sensory Stimulation: What's That I Smell? On this birthday of French chef Paul Bocuse, host a fun smelling activity with residents where they attempt to identify various smells. On this Extraterrestrial Culture Day, invite residents to make Valentine monster pencils to pass out to visiting kids during the valentine holiday. Challenge your resident to see who can roll Abraham Lincoln (a penny) the farthest on this birthday of President Abraham Lincoln. Use tape to mark the spot on the table. In recognition of this birthday of American bandleader "Tex" Beneke, play big band music for your Exercise Class as you guide residents in a toe-tapping exercise. Assist your resident with crafting sock monsters as gifts for her grandchildren on this Extraterrestrial Culture Day. Reminiscing: Do You Remember Your First Scary Movie? Reminisce with residents about scary movies on this day that the horror film Dracula premiered. Go around the room and ask residents to try to name the first scary movie that they saw at the movie theater. Assist residents with making bejeweled suncatchers to hang in your Activity Room windows for Valentine's Day. Use empty plastic milk jugs, gems, glue, and scissors for the project. For this Get a Different Name Day, play the name game with your resident where the two of you think of girls names that begin with each letter of the alphabet, and then think of boys names that begin with each letter of the alphabet. For the activity, encourage your resident to think of the names as you write them down. Use your local radio stations as background music for your Exercise Class on this World Radio Day. First, begin the class with classical music as you lead residents in stretches. Then play pop music during the main part of the class. Finally, play new age music for the cool down part of the class. Reminisce with residents about what they remember about Bess Truman on this day that she was born as you serve her famous Ozark pudding for residents to sample. Afterwards, discuss a few of the other first ladies' favorite foods. Assist residents with crafting valentine necklaces to pass out to visitors on this Valentine's Day. Use craft foam, cording, and colorful beads for the craft. Invite your resident to participate in a fun valentine scavenger hunt on this Valentine's Day. For the hunt, walk with your resident through the hallways to find the items. Recruit volunteers to paint bottles for a fun valentine ring toss game for your residents on this Valentine's Day. Shape pipe cleaners into hearts to use as the rings. Share a documentary with your resident about the building of the Hoover Dam on this day that one of the states that it borders, Arizona, became the 48th state. 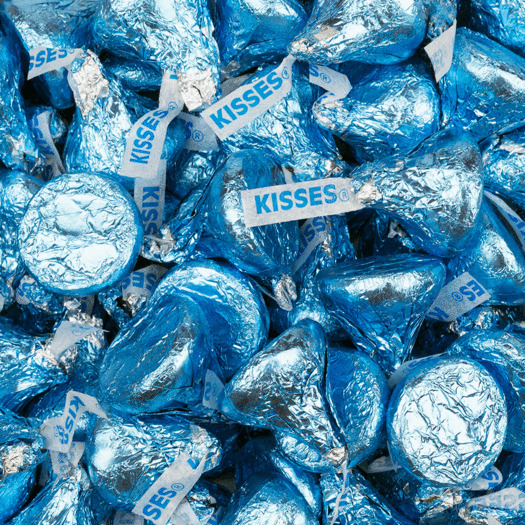 Reminisce with residents about their favorite chocolate candy as you provide a large box of chocolates for residents to sample and taste test on this Valentine's Day. 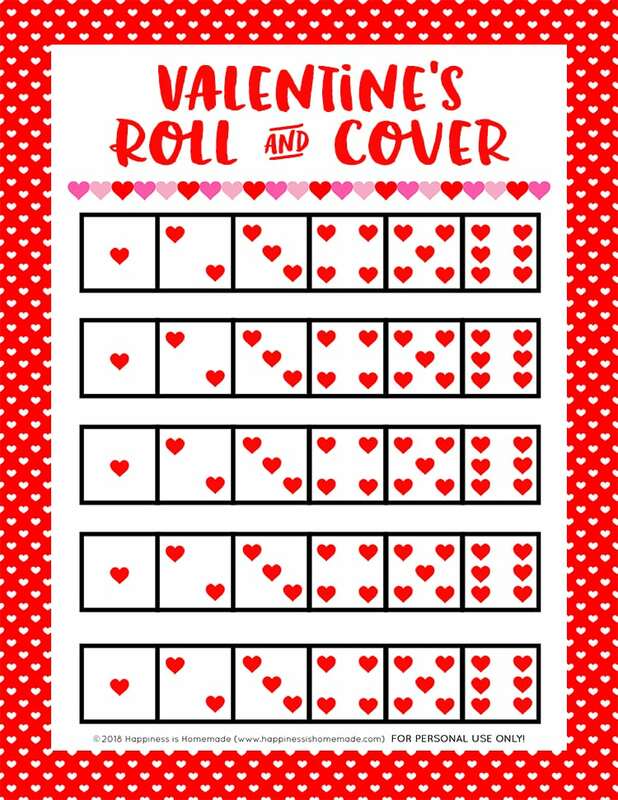 On this Valentine's Day, provide residents with dice to play a fun game of valentine roll and cover, in which residents roll dice to find out which boxes on their roll and cover sheet should be covered. Supply residents with conversation heart candy to cover their boards, and award a prize to the first person who covers all the boxes on their board. Encourage residents to assemble paper birds in recognition of this first day of the Great Backyard Bird Count. Print the template onto colorful scrapbook paper before cutting it out and finishing the birds with buttons and cording. For this birthday of American jeweler Charles Lewis Tiffany, invite your resident to assist you with melting Jolly Rancher candy to make jewel-inspired lollipops to pass out. On this day that Canada's maple leaf flag was adopted, invite residents to play a fun version of Canadian football, which is similar to American football. To play, set up a target or goal in your Activity Room, and have residents practice kicking a foam football into the target. Award points for each successful goal. Provide your resident with modeling clay to make a waterless snowman snow globe for her room for the season. After shaping the snowman, add twigs for the arms, and place the snowman underneath a clear cup. Reminisce with residents about their voting history on this birthday of American women's suffrage advocate Susan B. Anthony. Share a timeline of voting rights in the United States, and ask residents to comment. If you have snow in your facility's yard, invite residents to help you decide on how to decorate a bird snow cake for your neighborhood birds on this first day of the Great Backyard Bird Count. Beforehand, recruit volunteers to help you use the snow to create a cake in the yard. Meanwhile have your residents sort through items indoors, like carrots, apples, and berries, that will be used to decorate the cake. Then invite residents to sit at a large picture window to watch as you decorate the cake outdoors. Invite residents to assemble pasta puppets in recognition of this birthday of ventriloquist Edgar Bergen. Use elastic string, pipe cleaners, paper, red pom-poms, black markers, paint, wooden skewers, wooden beads, glue, and pasta for the puppets. On this first day of La Fiesta de Los Vaqueros and Tucson Rodeo in Tucson, Arizona, teach your resident how to play the saloon-style game of Anaconda poker. For this World Pangolin Day, honoring the endangered scaly anteater, teach a few animal-inspired chair yoga positions to your residents, like the Chair Cat-Cow stretch or the Chair Eagle position. Show your resident a documentary about beautiful landscapes in Europe on this birthday of the "Father of the Documentary Film" Robert J. Flaherty. Reminisce with residents about working with animals on this first day of La Fiesta de Los Vaqueros and Tucson Rodeo in Tucson, Arizona. Ask residents about their experiences with dog training and how tough it was. Afterwards, if your facility has a house dog, invite a few residents to help you teach the dog a few new tricks. Encourage residents to invite their grandchildren to stop by to make animal masks on this World Pangolin Day, honoring the endangered scaly anteater. Use templates, colorful scrapbook paper, cereal box cardboard, Mod Podge, a craft knife, scissors, and ribbon for the masks. Invite residents to assist you with making candy gifts to pass out on this Random Acts of Kindness Day. Use a variety of candy to assemble the gift bags before adding the kindness cards. Supply your resident with popsicle sticks, pipe cleaners, glue, and craft foam to build a bridge on this first day of National Engineers Week. On this birthday of French physician René Laennec, known as the "Father of Chest Medicine," lead your residents in an upper body workout. Use colorful balloons, cereal cardboard, and a wooden dowel to create a floral balloon to deliver to your resident on this Random Acts of Kindness Day. Reminiscing: Should Teachers Be Held Responsible? Reminisce with residents about working with teachers in their children's schools on this National PTA Founders' Day. Ask residents whether teachers should be held responsible for their students' performance. Assist residents with making butterfly prints on this day that the opera Madama Butterfly was performed for the first time in Milan, Italy. Use sponges, paint, and rubber bands for the activity. Assist residents with using popsicle sticks, paint, cardstock, glue, and rhinestones to make popsicle stick flags on this Presidents Day. Recruit your resident to assist you with making a mixed media winter mosaic for his room for the season. Use a canvas, glue, clear vase filler crystals, sand, paint, florist wire, toothpicks, and gemstones for the project. Celebrate this Presidents Day with your residents by inviting them to play the most popular sport of American presidents – golf. Simply play a round of indoor golf with your residents in your Activity Room. On this birthday of museum philanthropist George Peabody, assist your resident with making her own art by creating a paper mosaic using cardstock, paper, and glue. In recognition of this birthday of Louis Comfort Tiffany, the artist known for the stained glass Tiffany lamp, assist residents with making their own stained glass paintings using wax paper, paint, and bottle caps. Assist residents with crafting cute pom-pom polar bears in honor of this Full Snow Moon. Serve coffee and cut coupons with your resident at the kitchen table in recognition of this first day of the Kitchen and Bath Industry Show in Las Vegas, Nevada. On this cold winter day of the Full Snow Moon, invite residents to play a fun game of hockey – using fly swatters. To play, seat two teams of residents in a line with each team facing the other. Then pass out clean fly swatters for residents to hit a foam ball or balloon underneath their opponent's chairs to score a goal. In recognition of this day of the Full Snow Moon, assist your resident with making a snowball pom-pom garland for her room using a plastic needle and a few bags of cotton balls. Hang the finished garland for the season. For this anniversary of Japanese Americans being order to be placed in concentration camps during World War II, reminisce with residents about World War II. Ask residents how different America was after the war. Place lots of mismatched gloves and mittens on a table for residents to sort and match together for the season. Provide residents with pine cones, white paint, glue, and silver glitter to make frosty pine cones to hang and use as decoration for the season. Print out two copies of American landmarks photos onto heavy cardstock to cut out to make a photo matching game for your resident to complete on this birthday of nature photographer Ansel Adams. 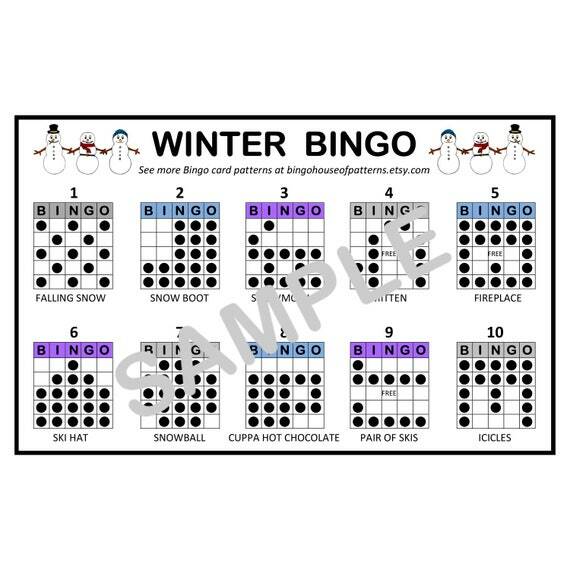 Get your residents up and moving this winter by playing a fun game of Winter I Spy with them. To play, place the Winter I Spy cards at each of the large picture windows in your facility, and have residents look outdoors to see if they can spot the objects on the cards. Encourage residents to walk to all the Winter I Spy locations to try to spot the objects outdoors. In honor of this birthday of photographer Ansel Adams, share vintage photos with your resident to see which ones bring back memories. On this birthday of photographer Ansel Adams, invite residents to bring their family photos to your Activity Room to share stories about their families. For this National Cherry Pie Day, assist residents with making homemade cherry hand pies. 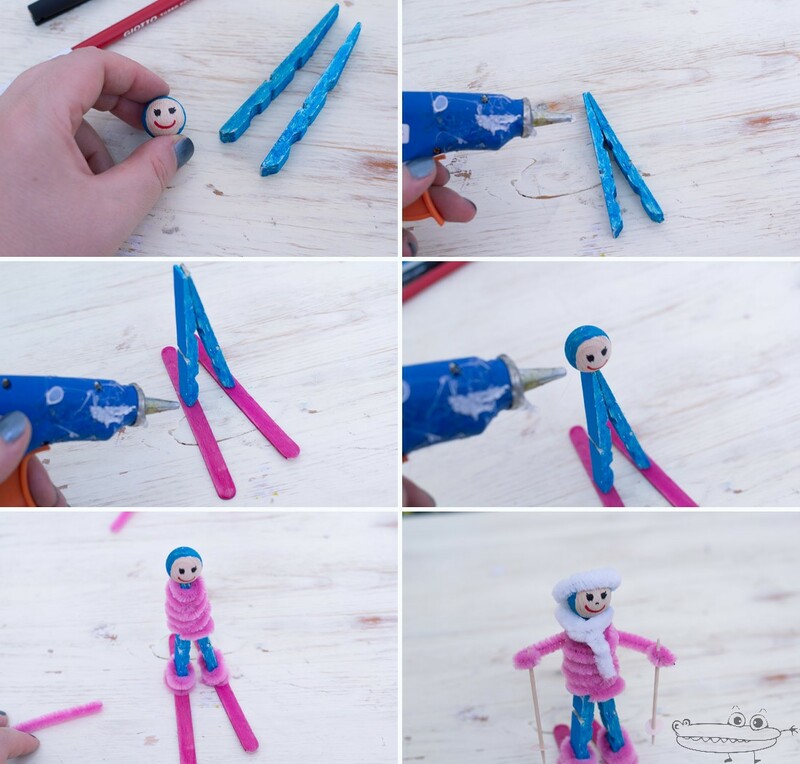 Recruit your resident to assist you with making popsicle stick skis on this first day of American Birkebeiner Cross-Country Ski Race/Birkie Week in Wisconsin. For the project, use popsicle sticks, wooden skewers, paint, markers, baker's twine, and felt. Play jazz music in the background during your Exercise Class on this birthday of American blues and jazz singer Nina Simone as you lead residents in chair exercises. On this International Mother Language Day, teach your resident the French dice game 421. In recognition of this Introduce a Girl to Engineering Day, reminisce with residents about when they were students and whether schools promoted having girls take math and science classes. Ask residents whether we need more girls to pursue science and math careers. Host a fun hot cocoa party for your residents on this first day of American Birkebeiner Cross-Country Ski Race/Birkie Week in Wisconsin. Set up chairs near your facility's picture windows so that residents can enjoy their hot chocolate while watching the snow and winter weather. For the hot chocolate, use a slow cooker, and turn it on in the morning so that residents can enjoy their hot cocoa in the afternoon. Assist residents with crafting candy-filled cherries in recognition of this birthday of cherry tree chopper George Washington. 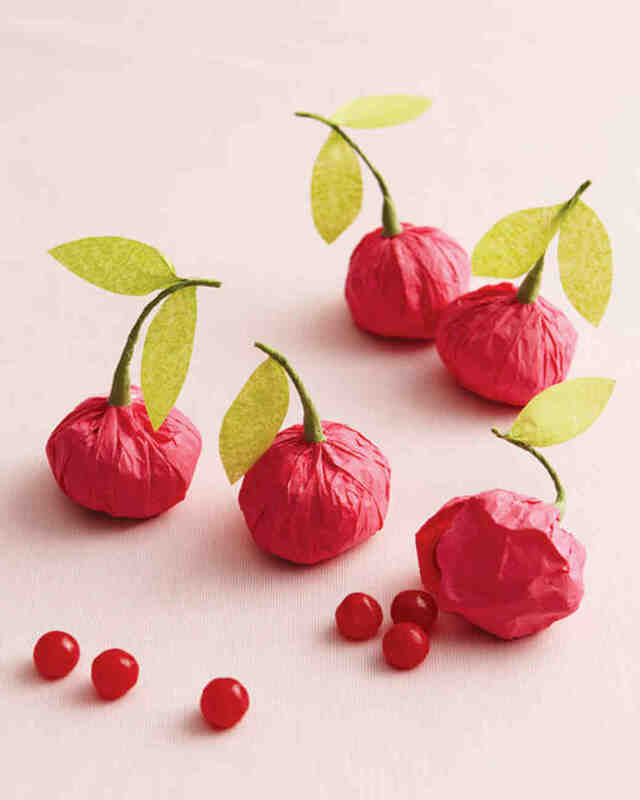 To assemble the cherries, use red and green tissue paper, green floral tape, floral wire, and candy. Provide your resident with pipe cleaners to make pipe cleaner flamingos in recognition of this day that the United States acquired Florida from Spain. On this day that the United States acquired Florida from Spain, teach your residents how to play the popular Florida sport Jai Alai. To play, pair seated residents together so that they are each sitting side by side facing an empty wall. Then have one of the residents bounce a foam ball against an empty wall so that it bounces to the other person for them to catch and return. Celebrate this National Margarita Day with your resident by serving her a tasty nonalcoholic margarita. In celebration of this day that the five and dime store Woolworth's opened its first chain store in Utica, New York, reminisce with residents about purchasing candy from their local five and dime store when they kids. During the discussion, pass around candy for residents to sample. For this birthday of President George Washington, who has many folk tales and stories told about his life, encourage residents to tell a few stories of their own. For the activity, pass around photos, and have residents make up a story based on what they see in the photographs. 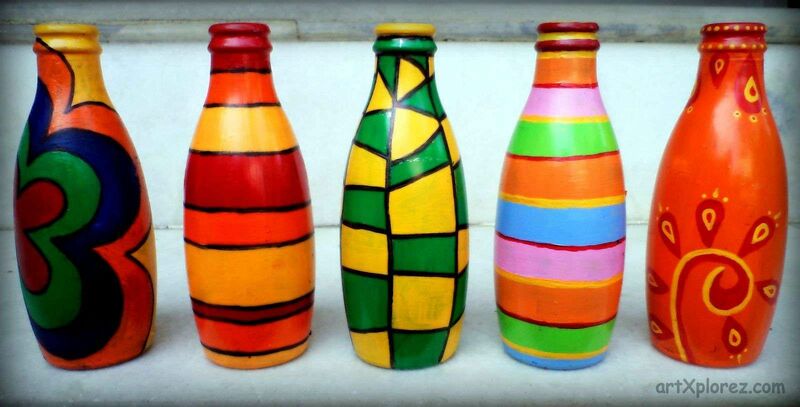 On this Open That Bottle Night, supply residents with empty glass bottles to make decorative glass bottles using glass paint. Teach your resident how to play the sport of curling using one of your facility's bathtubs on this Curling Is Cool Day. Simply create a curling target on the tub and use frozen cubes to show your resident how to play the sport. Use two-liter bottles for a fun ring toss game with your residents on this Open That Bottle Night. Grab a few Crayola markers to show your resident how to write in calligraphy on this birthday of diarist Samuel Pepys. Reminiscing: Do We Need Education Reform? In recognition of this birthday of American educator W. E. B. DuBois, reminisce with residents about their satisfaction or dissatisfaction with their and their children's education. Ask residents whether we need education reform. Afterwards, ask residents what they believe that today's students really need to learn. Invite residents to make sheep cookies on this day that the first animal, a sheep, was cloned. Use Milano cookies, mini marshmallows, candy melts, M&M's candies, and chocolate morsels for the cookies. Provide residents with paint and small cereal boxes to create their own parade floats on this day of the Mystic Krewe of Barkus Parade in New Orleans, Louisiana. Save the finished floats for your upcoming Mardi Gras festivities in March. Celebrate this night of the Academy Awards Presentation in Los Angeles, California with your resident by making tuxedo Oreos using Oreos, milk chocolate chips, white chocolate chips, and coconut oil. Show residents how to play the Mexican game of balero (cup and ball toss) on this Flag Day in Mexico. Beforehand, recruit volunteers to make the game for the activity. Recognize this Flag Day in Mexico by assisting your resident with making colorful tissue paper flowers for her room. Simply use tissue paper sheets and pipe cleaners to assemble the flowers. On this birthday of tech innovator Steve Jobs, reminisce with residents about the first time that they ever used a computer. Ask residents to list the things that they would like to still learn on the computer, and then consider creating a Computer Class to teach them. 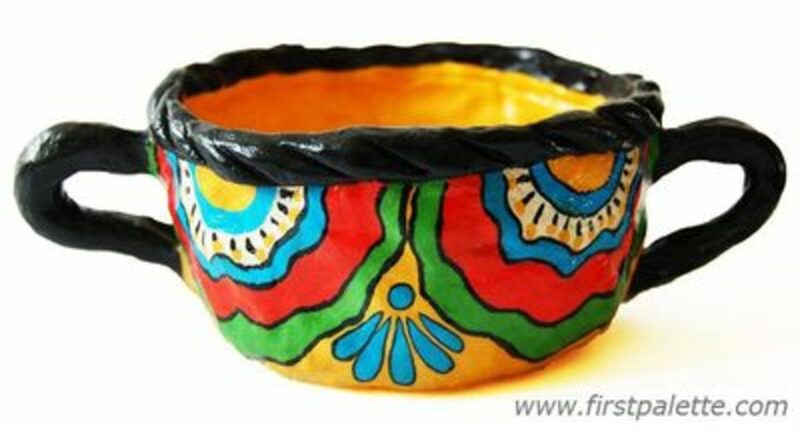 Invite residents to make pinch pots and paint them using Mexican designs and colors on this Flag Day in Mexico. Assist residents with making no-sew snowman pillows for the season using fleece, felt, button, glue, and polyfill. One-on-One: What's the Best Way to Melt Ice? Teach residents how to lasso a stuffed animal on this first day of the Houston Livestock Show and Rodeo in Houston, Texas. Invite your resident to assist you with painting snowflakes on rocks to use as decoration this winter. Use smooth rocks, paint or a paint pen, and the snowflake template provided on the site to complete the project. In recognition of this day that the first national bank was chartered by Congress, reminisce with residents about the free gifts that they used to receive from banks, like toasters, for opening a new checking account. Afterwards, share information about the the history of banking with your residents. On this winter day, provide each of your residents with a bowl of fake snow (baking soda and shaving cream) for them to dig through to find objects hidden in the snow. Provide residents with jewelry cording and crystal gems to make diamond necklaces for the ladies for the upcoming Denim and Diamonds Party. Share a documentary about American buffalo with your resident on this birthday of American frontiersman Buffalo Bill, who was known for killing over 4,000 buffalo. Celebrate this birthday of music star Johnny Cash with your residents by playing Music Bounce. For the activity, play music in the background and pass out small beach balls to each resident. Next, have residents bounce their beach ball to the beat of the music – bouncing the ball slowly when the music is slow and bouncing the ball quickly when the music is fast. On this birthday of blue jeans creator Levi Strauss, coordinate with administration to allow all staff members to wear their jeans on this day. Then invite your jean-cladded staff members to show-off their jeans for your bedridden residents in a jeans fashion show in their rooms. Reminisce with residents about their past visits to the Grand Canyon on this day that the Grand Canyon National Park was established. Share a few fun facts about the iconic landmark with residents. Host a fun denim and diamonds party on this birthday of blue jeans creator Levi Strauss. Provide the ladies with the diamond necklaces that were made earlier during the Crafts activity. Then during the party, play a fun game of Denim Bingo by replacing the B-I-N-G-O at the top of your bingo cards with D-E-N-I-M. Use small gemstones or rhinestones as the bingo markers for the game. Assist residents with making polar bear art on this International Polar Bear Day. Use liquid paint, the bear templates that are provided on the site, salt, plastic cups, tissues, pencils, and markers for the project. Use a Hula Hoop, a small foam ball, and a chipping wedge to set up a chipping practice game in your Activity Room for your residents on this birthday of Gene Sarazen, the American golfer who invented the sand wedge. In recognition of this first day of the UCI Track Cycling World Championships in Poland, reminisce with residents about their first bikes. Pass around photos that detail the evolution of the bicycle. In honor of this birthday of singer Marian Anderson, invite residents to participate in a musical performance by playing instruments (bought or handmade) while listening to band music. Divide residents into sections based on the musical instruments that they are playing, and direct them to play at different times during the songs. Assist residents with crafting Mod Podge flowerpots on this Floral Design Day. Consider using a floral fabric for the craft. Invite your resident to make colorful felt flowers on this Floral Design Day. Use flower templates, colorful felt, pom-poms, glue, sticks, and cardstock for the project. On this birthday of French acrobat Charles Blondin, lead residents in a set of flexibility chair stretches. Bedside: Who Are These Hollywood Families? In recognition of this birthday of American musical director and father of actress and singer Liza Minelli, Vincente Minnelli, share photos of Hollywood families with your resident to see if she can identify them. Reminisce with residents about what their grandmothers put in their chili on this National Chili Day. Beforehand, coordinate with Dining Services to provide a tasty chili for residents to sample. Provide residents with paint, canvases, and flowers to make their own abstract flower art on this Floral Design Day.